Explore all the Bubbly Flavors at Bishop Cider Co.
Come for the cider and stay for all the arcade games you can handle! If only all things could begin with love and cider. Fortunately for Joel & Laura Malone, that's exactly how it began for the bubbly Bishop Cider Co. that's crafted right here in Dallas! This husband and wife duo started Bishop Cider Co. back in 2014 after tinkering with their own home brew for years. Fast forward to today and thousands of kegs later, the Malone's have hit their stride with a growing collection of tasty ciders. I had the chance to visit their tap room in Bishop Arts where you can sip your way through their most popular creations six days a week. After chumming it up with their in-house cider master, I felt so much better about choosing a cider that fit my palate. For me, I typically gravitate towards a cider that pops with flavor and is super refreshing. Surprise, surprise, my favorites turned out to be a couple of their best sellers. Crackberry is king while their original cider recipe (one that goes back to the Malone's college days) is always a close runner-up. Order the cider flight if you're new to the cider game. It's the best way to try out different flavors before you go all in with your new favorite pint. But the real star of the show is Cidercade that's located in the Design District. Cidercade is one of the most fun and interesting concepts in Dallas, which comes complete with more than 100 different arcade games that will keep you and your friends entertained all night long. 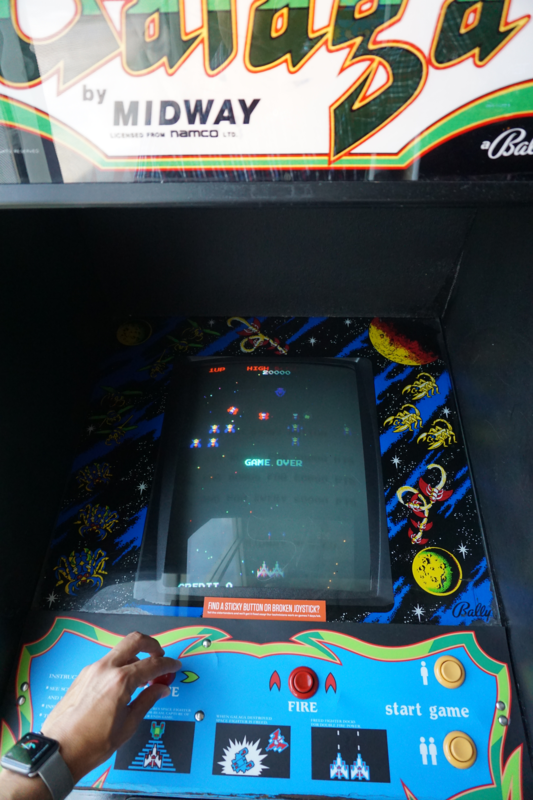 You'll find vintage classics like Centipede, Galaga and Mrs. Pacman. On one side there is an entire wall dedicated to pinball. It's a gamer's dream come true! Admission is $10 for unlimited game play. Plus, it's family-friendly, too! Kiddos are welcome to enjoy a classic gaming experience during the day before the age limit turns to 18 and up after 8 p.m.
And there's no need to worry about getting hungry. You can bring your own food, order in from your favorite local eateries or satisfy your cravings from one of the food trucks that pull up on Saturday nights. Just make sure to find some time to pair it with a cider that's regularly on tap. Try some of the most exotic and seasonal flavors like Mango Habanero, Dreamsicle and Salted Caramel Apple, just to name a few. In addition to the rows of games, cider enthusiasts can take part in a tour where you'll learn all about cider fermentation, the canning process and more with the founder and in-house cider whisperer, Joel Malone. The tour is free with admission to the Cidercade on the first Saturday of every month beginning at 12:30 p.m.
Just short of growing an apple orchard out back, it simply doesn't get any more local than this. Grab a friend, order a pint, pick your game and see if you have what it takes to set a new high score. Cheers!